Getting yourself ready to buy a condo? First, thumbs up. Second, welcome to the American Dream! With condos flying off the market in areas such as Boston, there has never been a better time to get yourself one. But you see, buying a condo is a bit different from buying a home. While both are clear paths to home ownership, condos are regulated by condo boards or housing associations. These bodies set the living rules that could as well affect your lifestyle. So before hitting the market, especially in Boston, you have to know what to look out for. In this article, we are sharing 5 questions to ask when buying a condo in Boston. Read on! What Are the Rules & Regulations? Most condominiums have a board of directors/trustees. These boards set regulations typically aimed at increasing the value of the development and improving the quality of life of the buyers. This may look pretty standard until you factor in that we all have different tastes and preferences. For example, you may be a barbecuing aficionado; one who spends the entire weekend by the grill. But there are condos that limit the amount of time you can spend barbecuing, usually when the grill is located in a common area. As such, the first question to is when buying a condo in Boston is: What are the rules and regulations? You must adhere to every regulation, so take your time to read the fine print and evaluate how each will affect your lifestyle or needs. Think you would like to rent out the condo in a few years’ time? Ensure the board has no restrictions on renting, or understand it’s renting guidelines. Most importantly, hire an attorney to review these rules and regulations. The condominium documents are usually drafted by an attorney so spending a little extra money to have a professional review them is well worth it. Another vital factor to consider when buying a condo in Boston is the fees. Yes, even after buying your unit, you will still be expected to shell out some amount of money month-to-month. The property management uses these fees to maintain the development, from hiring cleaning services for common areas to pool maintenance professionals. While such services are important, you should get a good handle on how much they will cost you. On average, the figure ranges between $200-$400, but expect to pay more if you are buying a high end or luxury condo. Don’t move on to the next question as soon you know the fees you’ll be paying. Ask if the fees are likely to increase in the near future! Well, they may not be straight up with you here, because if the fees are likely to shoot up, many prospective buyers will balk. Just ask how the fee has increased over the years and complete the dots. If the fees were $200 5 years ago, but now you are looking at $400, it doesn’t take a financial analyst to forecast a further increase a few years down the road. How’s the Condo’s Financial Health? Condos can experience financial distress for a variety of reasons. Perhaps lenders financed the development, and now the owners are struggling to pay back. Maybe the property’s management hasn’t been filing proper taxes and, as a result, owes to the taxman. Regardless of the reasons, financial distress is usually a red flag. The management can, for instance, increase the monthly fees in a bid to raise money to pay off its debts. As a buyer, this will affect you. To protect yourself from such issues, ensure the condo has a clean bill of financial health before taking the next step. Ask to see the property’s financial statements. The management should provide you these statements without any fuss. If they keep promising to deliver the statement or provide a shallow report, start looking elsewhere. And once you get the documents, which should include profit and loss statements, bank statements and the balance sheet, determine whether the income and expenses add up. If the condo is burning more cash than it’s making, huge red flag. Like the financial distress issue, condos can be sued for a range of reasons. For example, if it’s unable to settle its debts, the lenders can take them to court. If a prospective or current buyer feels discriminated in any way, they can sue the board. If a resident sustained injuries because of a structural defect, he or she will certainly sue for compensation. 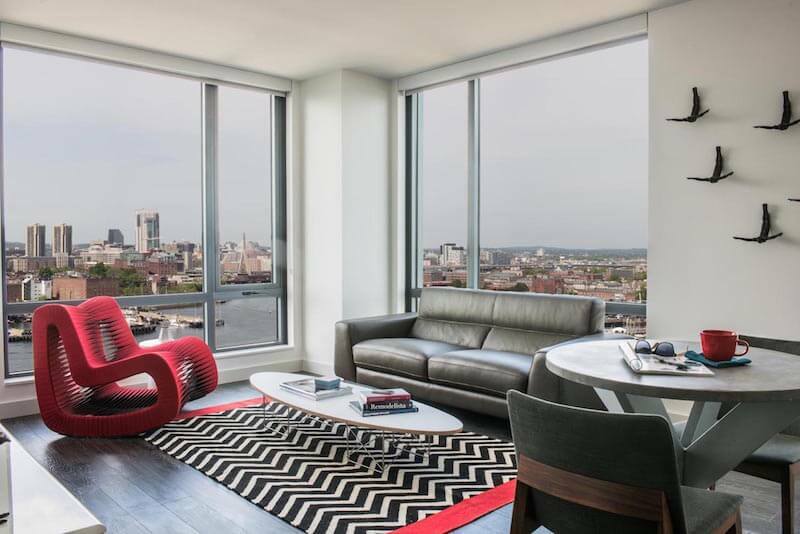 Pending suits don’t necessarily mean you should avoid buying a condo in Boston. Some suits are mundane, and their outcome cannot affect the value or performance of the property. However, take note of major lawsuits with huge financial implications. The best way to gather this information is, obviously, to shoot the question straight to the condo’s managers. You could also do some online research. If the condo you’re looking at has a major suit going on, chances are local publications have it covered. Also, ask about the property’s liability insurance. If it has a hefty coverage, no need to worry. Do You Have an On-Site Manager? Needless to say, condo boards hire professional management companies to oversee the property. Beyond that, a on-site property manager or caretaker is usually there (may live there in some cases) to take care of everyday issues. Ask if they have a manager present every day of the week (yes, including weekends), and then go further. How long has the manager been working for the property? Here, we are looking for a long-standing manager. If the manager is fairly new, ask why? How many managers has the property had since it opened its doors to buyers? If you’re looking at a high number of managers in a short period (maybe 3, 4 caretakers in 3 years), it could point to a bigger management issue, and that may be cause for worry. Buying a Condo in Boston: Go Get It! Regardless of whether you’re paying in cash or taking out a mortgage, buying a condo in Boston is a huge stride in life. Don’t let your efforts go to waste by buying a condo that isn’t worth it. Thanks to this post, you now know the questions you need to ask to ensure you get a unit in a community that meets all your needs. Many of these questions will be covered if you have a good agent, but like many buyers in Boston know, the key to a good deal is a well informed buyer and agent! And to make the journey even easier for you, we have a listing of condos in Boston right here at Boston Pads. That way, you can begin your search from the comfort of your couch. And if you have any questions, or need help find the condo of your dreams, we’re here for you. Get in touch.